When Walt Wilkins & the Mystiqueros got together a year ago, they filled a musical hole Texas didn't even know it had. But we desperately needed a country rock band with depth – the kind with so many great singers, they can swap lead vocals or do four- and five-part harmonies; with so many great songwriters, they could fill double albums … the kind with influences suggesting the Eagles, Poco and even the Allman Brothers, but with sensibilities honed in Lone Star bars and dancehalls, not L.A. or Georgia. A band capable of producing songs every bit as good as the best those bands ever released. Sure, they're common themes, but the Mysteriqueros seem to have an uncommonly well-crafted way of expressing them. The title ballad was written by bassist Bill Small, a New Jersey native who studied voice at Berklee College of Music; rhythm/lead guitarist Johnny Greenberg, a Marble Falls resident, and lead guitarist Marcus Eldridge, of Tomball, each contribute a song. There's also a few of Wilkins' favorites by other writers; “Honky Tonk Road,” one anthem prospect, is penned by Nashvillians Ray Stephenson and Bob DiPiero (whose credits on No. 1 hits alone are too many to name). Austinite Sam Baker has co-writing credit with Wilkins and Liz Rose on another evocative balland, “Quiet Moon.” Only one tune is a recognizable cover: “The Shape I'm In,” credited to the main songwriter in another influential outfit: the Band. 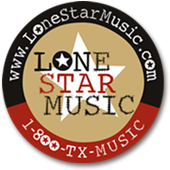 The band was scheduled to sit down with LoneStarMusic.com at an Austin-area Chili's restaurant, but it hadn't opened yet (somehow all those chain places seem like they've always been there; that's why Small picked it). So Wilkins and Small's significant other, Julie – Rodriguez and Greenberg couldn't make it – wound up sharing chicken marsala and sipping Italian beer at Macaroni Grill, just across the parking lot. It's obvious they've spent a lot of time together; the pair almost seemed like a low-key comedy duo as they repeated lines and filled in answers for one another. There's even a slight physical resemblance: Walt has shoulder-length, sort-of-blond hair and a beard; Bill is definitely blond and has facial hair as well. During a recent acoustic, sort of songwriter-in-the-round night, it was even harder to tell who was running the band. It was a very democratic affair, with guest singer/songwriter Sam Baker and Wilkins' wife, Tina, sitting in. Whenever they can, they share the stage with their favorites; Greenberg and songwriter/novelist Mike Blakely regularly co-host "TexAmericana Tuesday." It gives a forum to both famous artists and newcomers working in the studio with Greenberg or Wilkins, who, with Tim Lorsch, has become half of one of Austin's hottest producing teams. Well, first off, let's start with the obvious – the origin of the band name. Let's get that one out of the way. Walt : We don't know. I was working in the yard and it just came to me. So I ran inside and looked it up on the Internet. I used to tell people, because people would say all the time when I moved back to Texas, ‘You need a band.' And I would say ‘I would, but the coolest band name is already taken. Los Tigres Del Norte.' So I was like, why have a band if you can't be in Los Tigres Del Norte? I like the Mystiqueros. It means nothing. Well, it means we're members of the order of the Mystiqueros. That's a reason to join? B: Whenever a new band starts, that's the first fear. You know, how do we find a name? And you spend days and hours and weeks, and Walt, it just came to him. So I figured, it came to him, it was cool. It was meant to be. W: It was a good sign. B: It was meant to be. W: It was either that or the Druid Clowns. B: Which would not really, I don't think, attract the same kind of following. Bill, you lived in Nashville, too? What brought you both back here? W: I'm from here. And I was in Nashville for 10 years, which is really enough for any living organism. I wanted to come home. I have a 5-year-old boy. He was about to turn 3 and I wanted to raise him down here in the sunshine. And I was down here playin' a lot, which meant that I'd come down here for two weeks at a time, play gigs and then go back. I was away from my family more. By living here, I can still play as much, but be home a lot more. B: I had lived here before I moved to Nashville. I grew up outside of New York City but I've been in Austin on and off since 1990. And I really wasn't playing music in Nashville at all. And I wanted to do that again. W: I didn't know that. You weren't playing? B: Not really. I had my one little tiny road gig that (a friend) gave me where we didn't do much. W: Wow. That's hard to imagine. I can't imagine you not playing. B: I was a studio boy. But that's what keeps you living down there, huh? W: And Marcus Eldridge, the other guitar player, one of the guitar players, he lived in Nashville for, I think, eight years. W: He would say he didn't enjoy himself very much there. B: I don't think any of us experienced a high level of enjoyment. W: No, it didn't really fit any of us, our personalities. So who were some of the people you played with in the studio there? B: No one you've ever heard of. I did a million demos of very bad songs for people you've never heard of. The only guy that I worked with you or anyone would know is a guy named Deric Ruttan (co-author of the Dierks Bentley hit, ‘What was I Thinking?'). I played with him on a radio promotion tour of his never-released record. W: It never came out? B: Not in the U.S. It came out in Canada. So how's it going for you guys here? W: It's gone remarkably well, really. We've been playing a year. Two months after we played our first gig, we had interest from Palo Duro. Within four months we had a plan to make a record with Lloyd Maines. So I think it's gone really well for a new band. W: The Walt Wilkins band. B: And I actually knew him in Austin before he moved to Nashville. W: So Bill knew Marcus years ago. Johnny Greenberg and Bill actually knew of each other in high school in Oklahoma City, briefly. Bill knew John's older brother, who, by the way, lives in Nashville, (and) is a great songwriter and guitar player named Clay Greenberg. And John Greenberg, who has made four records, (he's) a really great writer, wonderful guitar player, producer. He's someone who I would call when I needed guitar players for gigs, which I did occasionally. For Marcus and Johnny, I'd played with both of them. And when we had to put a band together for something really cool, they both said instantly, ‘We know exactly who needs to play bass and sing with us.' It was Bill. And then the drummer, Ray, was in a band that I had worked with, and I had my eye on him from the first time I heard him play. And talked to him. He's one of the best people I've ever met. Great guy. Great drummer. So we all had these connections. It was the anti come-rehearse-with-my-band method of putting together a band. So were you all living in Austin at the time? W: No. I don't know if it'll ever happen. I hope so. Marcus Eldridge lives in Tomball, which is outside of Houston. The town where he was raised. Raymon is from Brownfield. But he lives in Lubbock. Still does. Although both of those guys have lived in Austin for periods of time. That's why we consider Austin kind of our home. Johnny lives in Marble Falls. But the nucleus is here. B: We're sort of based out of Austin even though we don't all live here. W: Even though only Bill actually lives in the town (in the same condo complex as his interviewer, it turns out). B: ‘Cause you live in Cedar Park, which is close, but not really the same thing. But you all had Austin connections even beforehand, so it was that network of who knew (whom), not just auditioning. So what made you decide this was the kind of band that you wanted? W: That's easy for me. I'll answer first. ‘Cause I'm the oldest. 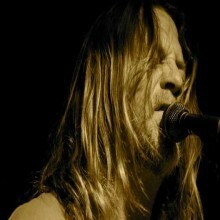 B: And it is Walt Wilkins and the Mystiqueros. B: Yeah, for Gruene Hall. W: Gruene Hall, for the Americana jam. 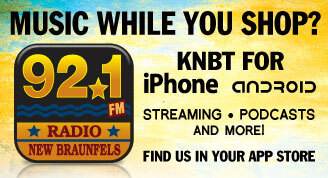 The KNBT (92.1 FM, New Braunfels) Americana Jam. W: This was last year. W: Actually, that was the first time we played as a band, the five of us. We had Bill there, and really, literally, we walked offstage and we all looked at each other and went, ‘Well, I guess it's a band. This is what we're gonna do.' And I knew that day. I was like, this is my priority. Bill was the final and complete total missing link. B: And Ray was in another band and I actually remember looking at him after the show, and I pulled him aside and I said, ‘So, um, I think we're gonna have to do this more, and I hope that's OK.' Obviously, it was OK.
W: And he made a jump. You guys wanna tip me off to how old you are? W: We're the two oldest. Then it goes down from there to Raymon, who's the youngest. He's 32. So we're not ‘chirruns'. So if you're kind of doing it long-distance (and) you're still committed to holding it together, you need to hone yourself with local gigs, then get out there and play. How are you gonna draw everybody together on a regular basis? W: Well, our long-term plan is, the guys will move back at some point. Oh wait – I can't say that. Because Ray's girlfriend would break up with him if she saw that in print. B: The bottom line is we have gigs all over the state every weekend. So we leave from either here or Marble Falls almost every weekend, or Ray meets us at our first gig, wherever we are. W: So we make it work. And he's young; he likes to drive. So for now, we're doing fine. And (flying) Southwest is cheap if you're going to the right places. W: That has helped, too. So that answers the what brought you back to Texas question. So here's the burnng question: What is it about Texas that fosters so much music? W: I think it's many factors. There's a crash of cultures: the cowboy, German, Mexican, Polish. All these cultures that dance. And we have a culture like nowhere else. People go out – kids in their 20s go out to see music more than they go see movies every night. People actually go out and like music, and it's part of our culture. B: As opposed to going out to hear a Top 40 band play background music while you get hammered. W: Right. Original music. There's a real – I mean it's just part of our culture here. You have to be able to perform live and bring people out so they'll buy beer and the club will have you again. You gotta make people dance, you gotta make people have a good time. It's based on live. That's where Nashville completely lost all of its credibility and momentum. Bill, how about you? Your theories? B: I couldn't add a thing to that. That's well said, sir. W: Well, there is good live music in Nashville. W: But to get a record deal in that business, you don't have to play live at all. B: And you can't make money playing live music in Tennessee. It's just not gonna happen. I couldn't believe some of the artists I saw playing for tip jars there. W: There is great music to see, but Nashville's there because of the music business, and live has very little to do with that anymore. W: It is an afterthought. Were you here at the time that labels actually did try to get a foothold in Austin? I thought it was the ‘90s, too. W: Oh, oh, Arista Texas! Yeah, Cameron Randall. W: Yeah. It'll never go here. B: I think it's because the things that make Austin and Texas such fertile ground for music and musicians and creativity are the opposite of what the industry needs to survive. B: And nobody wants that to come here. B: If we need the industry, we'll go to it. We'll go to L.A., we'll go to New York, we'll go to Nashville, we'll go wherever we need to go. That's fine. But don't bring it here. It'll mess the whole thing up. W: It would pollute it. B: And there's enough of it here and enough people in the industry who know about Austin that it works. It's fine. There's artists here who have great, lifetime-sustaining careers. They do not have to live in any of those other hell-hole-ish places. Do you think that there's a bit of complacency involved in Austin, though, that some artists do make a decent living here so they don't try to go anywhere else? B : Well, what's wrong with that? B: I want to make my living playing music because it's what I do. I don't really do anything else particularly well. And I would rather be playing $50 gigs every night in Austin, Texas – maybe a little more, that'd be nice – than not playing. Much rather. W: And Texans by nature are much too obstinate to work through the Nashville machine that tells you what to wear and stuff. B: And what does that have to do with anything? W: We're lucky in that we have Nashville to go to. And then come home. B: And there's a big Austin and L.A. connection as well. I mean, half the people that I came up with in music in Austin in the ‘90s live in L.A. now. And you're happy to have them there , huh? B: Yeah, right. It's great to have them there. Let's talk a little bit about the album. Who's singing what songs? Is it usually the writer? B: Marcus had just finished recording his second record when we started the Mystiqueros record, so he'd pretty much done all his songs, and he didn't want to necessarily re-record, you know, have it on two different records; it'd just be a little weird. W: All Nashville co-writers. That's from my last year or so in Nashville. When I co-wrote most days. Fulfilling my publishing obligations. Is that what drew you there in the first place? To be a songwriter? Was that your goal as well when you went to Nashville? B: I didn't have one. (Laughter all around.) Which, pretty much, gives you what I accomplished. (More laughter.) I had no goal, I accomplished pretty much nothing, so I'm even. W: it all worked out. Have any specifics you want to tell me about any of these songs? W: Well, I like ‘em all. (Bill laughs.) I do. Some of the songs are real special to me, a song called ‘Big Shiny Cars' is by our friend Davis Raines. Davis has been one of my favorite writers for 10 years. He's one of the people who, when I got to Nashville, I would have never heard him otherwise, and heard him, and never recovered. He's that good. I have three favorite songwriters: Davis Raines, (Austinite) Sam Baker, (and soon-to-be-Austinite) Kevin Welch. Wow. And you know them all. B: I have four. Take that list, add Walt Wilkins, and we're done. W: Hah, that's sweet. … But Davis Raines sang that song 10 years ago and I thought, ‘That's the most amazing thing I've ever heard.' It's a song about playing music for the love of it. So I knew that I would … I don't know, I just always loved the song, and then when I'm all the sudden in a band where everyone sings … I'll never forget the first time we tried it. We were on a van trip and we were in Nashville. No, we were in Louisiana, the night before we were playing in Nashville. And I said, ‘We ought to try this song,' and the first time we sang it, I had chill bumps that have never gone away. Now you have Sam as an auxiliary member sometimes. Do you do that whenever you can? B: Whenever he lets us. W: We have these swirling members, Sam baker being one of ‘em. But back to your record. You've made your own comparisons, or at least, the album press release does, to the Eagles and Poco, which is exactly what I thought when I listened to it. You're not striving for that specifically, are you? B: It's just what we do. I think the thing to always let people know is that we're not striving for anything except to be good at what we do. And I guess there just hasn't been a lot of bands in a while that have a bunch of people who really sing. I haven't seen very many. I know the Band of Heathens has a lot of players. W: Band of Heathens, they do all sing. W: The eagles were very slick. W: We are not slick by nature at all. W: We're very shaggy and unrehearsed. B: We actually pride ourselves on never having rehearsed. I've heard that before from bands. B: But renting a rehearsal room, going in and polishing up an act, we don't do that. W: It's not our thing. B: And also, we're not kids. We've all done this long enough to know what it requires when we get onstage. I think that's the key right there. You have the experience and you know how to get it done. So what attracted Chris (Thomas) from Palo Duro? How'd you guys hook up with him? How long did it take you to do the album? B: We don't mess around. And you did it mostly all locally. W: We did, we recorded out at the Zone in Dripping Springs. W : The owner is Mike Morgan. It's now the favorite studio of Lloyd and Ray Wylie Hubbard does all his stuff there. B: I believe Mike Morgan is in Flounders without Eyes. That's his band. And where would I go to hear them? B: I have absolutely no idea. I think they're on what you might call the jam band kind of circuit. Tell me who Buck Jones is? W: The record's dedicated to Buck. I believe three, maybe four of us in the band had met Buck. I worked with him; I produced his record. He's a wonderful young singer that got killed in March by a drunk driver on his way to a gig up near Dallas. Someone I'd known for about 10 years. There's a lot of people flocking here, trying to make careers here. Would you still encourage somebody to do that? B: You know, I say that half-serious and half-joking. I mean, look, I can't blame people who come here and want to live here. I did. And I came here from New York and it was a welcome, welcome change. I still love New York, I still go to New York, but I wouldn't live there again, you know, full-time. When I came back, I almost moved to L.A. instead of here. I had some better opportunities here so I came here. And I'm, of course, glad I did. But, I don't know, the town's grown an awful lot. It freaks a lot of people out. W: But it's still a more manageable life, do you think, than New York? B: Oh, it's much more manageable than living in New York or L.A.
B: And people complain about traffic here, and I just laugh at ‘em. B: It's like, you don't know traffic. You've never seen traffic. Now, I'm sure it's gonna get worse. I have no doubt. B: And I understand too, because it's even changed – I moved here in 1990; there were 440,000 people in Austin. And now there's over a million. W: With surrounding areas, yeah. B: And the change is un-freakin'-believable. I mean, even just the physical changes in the city are unbelievable. So what would you guys like to talk about that we haven't discussed so far? W: One thing I think – this is for LoneStarMusic, right? W: We are by nature, very Texan. There's no way around it. These guys have all played for years in the bars, dancehalls, theaters. We are as Texas as you can get. Marcus Eldridge is fifth-generation Houstonian. I'm a sixth-generation Texan, Johnny's from Oklahoma, Bill's the foreigner. But he's lived here off and on for 15 years. B: My parents lived here in the ‘50s. Both my sisters were born in Austin, Texas. It's been in our family culture for a long time. W: We're just a very Texan band. We consider ourselves part of this Texas music scene or culture. We are, we're from it, we're in it, we live it every day. But we also would like to go out; we don't think that's the – that's not the only people who enjoy music. B: The be-all and end-all. W: Right. We want to go out and play all over. We have and we will. More. We've noticed that people like this kind of music all over the place. B: And, you know, so they don't all have to move here. (More laughs.) We can go see them. W: Yeah. Right. If that's what it takes to keep the city from hitting 2 million in the next 10 years. B: If it keeps ‘em at home … we'll be there. W: I was in Pat Green's band for a year. People were glad to have that kind of music. So do you have to work any time in the near future? W: Oh, god, yeah. I've never made any real money from songwriting. W: Yes, really. I can assure you. W: I mean, I've never had a hit song. 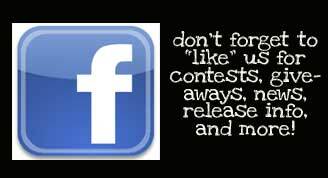 You have to have a hit song on the radio, nationwide, to make money. I thought that song (‘Songs About Texas') broke his career. W: But that was in Texas, and that was really about two stations. I mean, that jumped him up a level and got more kids to come out and see him. That was the Wolf in Dallas. And one big station playing your song wouldn't make enough to pay for this meal. Honestly. W: I mean, I've made a little bit of money from all my years of writing. And I'm not complaining, I'm proud to have been able to just keep doing this, and that's the reward. There are precious little other rewards. B: The one thing you figure out, I think, the older you get, if you remain in the business of music, is that there aren't very many reasons to put up with it. You have to love making music to put up with the business of it. W: You have to love it. Yes. Believe me. Ask my wife and son. B: You have to love it a lot . B: Get the big check. W: Yeah, even a medium check. A common misconception. I've been asked that before. People assume that I made some money somewhere. B: I did when I first met you. M: So you were on the road with him for a year. Was it the year that growth was happening? W: It was a year of great growth for Pat. I was touring in his band when he had just made his first record on a major label. And he was getting out of state. We went all over the country and that was his first time to do that. So yeah, it was a time of great growth. It was a lot of fun to watch. So did you do a lot of sideman work in other bands before? W: Never. I'm not good enough. Bill will tell you that. B: I won't. I will not tell you that. I will not tell you that at all. W: There's only (one way) that I could play (in a band) and that's with a bandleader like Pat Green who just wanted me around. Pat and I sing great together. Our voices just happen to sound really good together. So that's why he liked me being in the band. B: Walt will probably make a derogatory comment after I make this statement. But Walt is one of my favorite singers. His voice sounds good with almost everybody's. The whole reason for me that this band was so much fun initially was getting to sing with him. ‘Cause it's just – I mean, it's easy. Thank you for not saying anything. W: Ahh I don't know. Thank you, Bill. So now that you guys are in your 40s and you're looking at writing from a somewhat different perspective, where is the subject matter coming from? W: Well, for me, as a writer, I just, I've always written. Always. Since I was 5, 6, 7 years old. I've always written. My whole life. So I don't know necessarily, (but) it's always gonna be affected by what's going on around me, or places I imagine. B: I put a much higher value on making sense now than I used to. B: I like my songs to actually make sense. W: It should make sense. B: I don't think I really cared for a while. But yeah, they make sense now. And as far as this album goes, was there was an effort to try to get something by every band member on it? W: Oh, yeah. And we didn't want to put any songs on the record that all five people didn't feel good about. There were a lot of songs that one vote could kill that candidate. We have a lot of songs. B: It was amazingly easy to do. W: Between us, we have a lot of songs. ‘Course, I have the most because I'm the oldest. But I had a writing gig for 10 years, so I got to write every day for 10 years. So I had the lion's share of the songs, but we all have songs. Great songs. And as we make more records, we will never not have plenty of songs. Now, being with Palo Duro – I think it's a great label – but it is a Texas label. Are you going to try to grow beyond that? W: Hell yeah. I think Chris is for it, too. B: That's the thing. I think Palo Duro would be happy to grow beyond where it is. And if we can help that happen and all go somewhere together, it'd be great. W: Our goal is to be their biggest-selling record to date. That's just one of our goals. We're all competitive as hell. W: You're completely competitive. We're all competitive as hell. Bill, what made you take up the guitar? Oh, I'm sorry, you play bass. W: No, he's a great guitar player. B: I actually played guitar for 30 years. I started playing bass in Nashville ‘cause I couldn't get a job as a guitar player. ‘Cause the guy pumpin' gas down the street from my house plays better guitar than me in Nashville. That's what they say, be a bass player and you'll always have a job. B: Pretty much. And I enjoy it. I really do. And they let me play guitar every now and again. But I'd started seeing (performers) and singing in front of people at a very early age and I'd picked up a guitar primarily because my older sister played guitar and sang, and I thought she wasreally cool. And I wanted to be able to sing and accompany myself. And that was the easiest way to do it. W: (I'm) not from a musical family but just loved music, so I bought, from my older sister's best friend, I bought her guitar for $15 when I was 14. At this point, I don't have any more specific questions. If there's anything you guys want to talk about … the philosophy of Italian food, or whatever. B: Is eat well, drink beer, play great. W: We don't like a lot of drama, but we like cold beer. B: Yeah. (Quoting from ‘Honky-Tonk Road') The lights are hot. The beer is cold. W: And we eat Mexican food nearly every morning. My stomach was in shreds by the time we got home last weekend. B: (Laughs.) I bet. We ate a lot of Mexican food. We did. We ate Mexican food, like, twice a day. Well, I'm kind of done, but I know the minute I turn this recorder off, one of you is going to say something profound. W: It's a safe bet that's not gonna happen. B: We might say something off-color or funny. W: I've been with Bill for over a year…. B: He's been waitin' for me to say something profound ever since. It doesn't happen.